At our April meeting, the Wollongong MQG decided to participate in the 2017 MQG Charity Quilt Challenge. 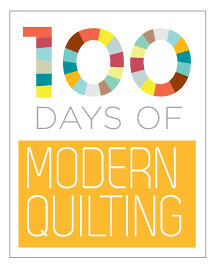 In the last two years, we ran two very successful Australian Modern Quilt Shows but, since we have temporarily handed that over to our sister guilds, we thought this would be a great opportunity to complete a guild wide project together. We regularly make quilts together for local charities, but have not previously worked on one in a MQG challenge. Although we are the Wollongong MQG, our members live across the Illawarra region and, as this is our first entry in the Charity Challenge, members voted overwhelmingly to make a stylised representation of the region. Our design team divided the quilt into vertical sections to represent the escarpment and farms, the towns and the oceans and beaches. We wanted to include as many members as possible, so decided to do an improvised quilt as this would allow for greater flexibility. Further, we wanted to give members the opportunity to learn a new skill, specifically free form cutting and piecing but we didn’t want to force people to work outside their comfort zone. As a result, the farms were done as wonky log cabins, the towns were a mixture of approaches and the ocean was constructed with free form curves. Fabric was combined into bundles with instructions and members were able to choose which aspect of the project they wanted to work on. Some tried a few different blocks, some did the binding but almost 30 members contributed in some way. It was rewarding to have so many members hand in their blocks and tell us how much they enjoyed the freedom of just cutting and piecing. It is always fun to try new techniques! During the project, we gave updates at monthly meetings and via email. This was a great way to keep in touch. All blocks were handed in by the August meeting so the construction team of Kerrie, Ros and Kate got to work on the design wall. It was surprising how quickly the quilt took shape. Filler blocks were constructed if needed, as we had decided to avoid cutting members’ work where ever possible. A second construction day put it all together. The Illawarra is known for its beautiful beaches as well as the remaining pockets of temperate rainforest. It also has rich coal seams so the bush has rail lines and mines along the mountains. When we took the quilt to our quilter Jenny at AngelCake Quilting, she quickly grasped what we were doing and she made a huge effort to let her quilting reflect the region. Members were delighted with what she did. They had the chance to view the quilt at out November meeting and were very quick to play Spot-My-Block. The final stage was sending the quilt on a camping weekend with some members who volunteered to sort out the binding while they were away. This has been a lot of fun and I would encourage any guild which hasn’t tried it to give it a go next year. by Carole Lyles Shaw, Board Member, MQG; Secretary Sarasota MQG In late spring 2016, Carole Lyles Shaw, put out a call on Instagram and to her own personal mailing list asking for MQG members who might be interested in joining a virtual team to make a charity quilt. The Virtual Charity Quilt Team #1 [VCQT1 on Instragram] was formed with 20 members. We held a Zoom meeting to plan the design and decided on using the plus block, also known as wonky crosses. Carole created a plan with each member making three or four blocks in one of four assigned sizes. One member made a set of smaller blocks which added another scale dimension—great creativity!! Using the completed blocks, Carole created an asymmetrical layout, posting in progress photos on Instagram. Very quickly, she realized that she had more blocks than she had originally realized. Rather than make a two sided quilt, she made two Sister Quilts! The two quilts were beautifully quilted by Karlee Sandell, http://www.SewInspired2day.com. The two finished quilts will be donated to Hopes & Dreams Quilt Challenge for ALS run by Quilters Dream Batting Company. They donate quilts to ALS patients and families. • Creating a virtual team is exciting! • Use technology to have face-to-face meetings for planning. This also gives team members a chance to meet and get to know each other. • Use only one fabric for negative space—this will tie the quilt together if members choose their own fabrics. • If possible, have a locally based sub team that will have time to put the top together and make the backing. • Ask members to donate a small amount of money to purchase the fabric, pay for postage, and if necessary, pay to have the quilting done. Gather the finds through a PayPal account. • Allow at least 3 months for team members to make their blocks. by Tammy Joho There are some things the world should know about Vermonters. One, we’re a hardy bunch (have you seen our winters? ), second, we have a great sense of humor, and lastly, our sense of community is enormous. Each of these traits played a part in choosing our quilt design. the mountains would encourage us to practice some new techniques too. Dona even arranged for a guest speaker to present on half-square triangles so that we could be consistent as a group, while sewing independently at home. Our process was fairly straightforward. Dona graciously sourced and prepared the gray and pink background fabrics for us. I’m not sure how long that took, but I imagine it felt like eternity! All of these tiny squares were then packaged for members to take home and transform into half-square triangles. While we hold our meetings in Burlington, some members drive 1-2 hours each month to attend, so planning group sew-ins isn’t very easy. This way, we can each work at our own pace at home, and then bring back completed squares ready for the next step. definitely our favorite part of the challenge! Dona took this partial-quilt home to add the lake pieces and mountains. Her husband Nick, (our first male guild member! ), is a longarm quilter and he took on the quilting. We went for a modern approach; with clouds in the sky and waves on the lake. We don’t currently have a final destination for our quilt. There’s been interest in entering the quilt into some local shows, and then either donating it or holding a raffle and then donating the proceeds. One thing we want to share is that we decided unanimously to refer to projects like this as “community” quilts. Recipients are still an important part of our community, and each piece takes a community to create, so we felt it better reflected the intentions of these projects. by Kris Farnsworth, 2017 President From the Guild that brought you an improvisational portrait of Woody Guthrie, comes “Good Morning, Tulsa!” — our entirely paper-pieced entry into the scale challenge for QuiltCon 2017! We were blown away with all the positive attention our “This Quilt is Our Quilt” received during its time on display at QuiltCon 2016 and wanted to push ourselves again this year. The challenge theme of “scale” had us thinking of space, microscopic images of cotton, and tiny flying geese… but the color scheme reminded some in our group of “art deco” — a movement that influenced many of the buildings in downtown Tulsa. So we finally decided to create a paper-pieced version of our city. The pattern was drafted in Adobe Illustrator, and fabric was generously donated by Brenda Shreve of Red Barn Quilting (brendasredbarn.com). Foundation piecing sheets were printed and then distributed to the 43 quilters who took part in the making of this quilt. Many of our members were new to FPP, so our first sew day featured some instruction. Though many of the pieces are quite small, even those trying paper piecing for the first time were impressed with their progress. I can’t even imagine how many individual pieces make up the design — and I’d be lying to say there weren’t a few times some thought we had bitten off more than we could chew — but as the blocks started coming in and we started joining them together, it fueled our determination to see the project through. Our completed top was sent to Guild member, Ann Olson of Ann’s Quilt N’ Stuff (annsquiltnstuff.blogspot.com) to work her magic on the long arm. She free-handed straight lines in the buildings and filled the sky with her signature “graffiti style quilting” (including a tornado or two in the sky). This project was a great learning experience! Many of our members learned FPP, and those who already knew the process learned to not be afraid of small piecing. Personally, I learned how to draft a paper-piecing pattern — a skill I hope to use again in the future. We had some bumps along the way: mixing up the blue and navy, forgetting to leave the extra ¼” seam allowance, and misplacing a pattern piece or two, but overall it was an enjoyable experience. We are proud of our work and hope you enjoy this tribute to our beautiful city. We haven’t yet decided who this quilt will be given to, but have discussed a couple of possibilities. Our planning started with the idea of scale. Cassie suggested stars of different sizes and found us the Arizona star pattern in Carol Doak’s book 50 Fabulous Paper-Pieced Stars. After putting the pattern in Electric Quilter 7 we were able to produce paper stars in many sizes to develop the design of overlapping stars in a diagonal design. It was challenging to choose fabrics in the MQG color palette but our quilt shop, the Quilt Basket, provided color swatches which we could compare to pattered fabrics and we played with the fabrics until we reached a consensus. The next step was to get the paper-piecing patterns reproduced to scale. A trip to the local copy shop was required for the largest pieces. The Arizona star pattern we chose is an eight-pointed star and the components are basically diamonds. We all know that paper piecing helps with consistency, especially when there are many folks contributing, so we made patterns for all the diamonds, including the largest that were more than 30 inches long. The smallest star has diamonds that are only 1.5 inches long. Our first sewing day was full of fun and confusion. There are a few basic paper-piecing rules that must be followed. It’s hard enough to get your fabric in the correct place while sewing on the back side of the paper when you are home alone and in the zone. With eight or ten people cutting fabric and sewing many different sizes of diamonds we were able to make every paper-piecing mistake it is possible to make. And it turns out that trying to steer a 30 by 20-inch piece of paper with fabric pinned to the bottom side is a really hard (and pretty unwise) thing to do. Needless to say, we had a wonderful time and laughed a lot. We may write a book on the 50 ways to mess up when paper piecing. People brought stars home to work on them. The second sewing day was held at one of Tucson Park Department’s recreation centers, where they have tall work tables that are perfect for laying out a quilt and sturdy enough to stand on to show off our work. Beth took the stars on vacation to applique the two sets of overlapping stars. Dena did couching around the superimposed stars using her Sachiko machine. Once all was assembled, Kristi did her magic with her long-arm quilting machine using an undulating wave pattern. We will donate the quilt to a local charity. The Tucson Guild really enjoys working on group projects, especially the Quilt Con Challenge. We cannot wait to see what next year’s challenge will bring. by Mary Willis, Patty Bailey, Lorri Foley, Jeannette Tobin, & Barbara Winrich We are the “The Improper Bostonian Quilters.” Patty Bailey, Lorri Foley, Jeannette Tobin, Mary Willis, and Barbara Winrich met several times while planning the quilt. It became an additional enjoyable social event, and not an unpleasant adventure that group projects can become as remembered from Grad School. Although Lorri is still having anxiety attacks about the group process. The mission of Casa Nueva Vida inspired us to use homes as the jump off to our design. The log cabin block was the starting point and figuring out how to manipulate the scale of the block was our challenge for the front of the quilt. Homes are represented on the back of the quilt thus joining Traditional and Modern aesthetics together. We collected fabrics and decided which we would use. The design morphed into what it became and members volunteered for different tasks related to their individual strengths. We used our time at October Quilt Camp to continue getting the quilt together. We gathered at a Saturday Day Camp and layered the quilt, and then began the quilting process. Watching how each individual effort came together in a successful design was our favorite part. Barbara loved making the tiny log cabins. Jeannette excelled at using quilt software to bring the design together and making an amazing sleeve. Patty’s binding is the bomb. Mary fast forwarded the machine quilting. Lorrie’s hand stitching is the finishing touch to add texture. Each and every one of us was enriched by the experience. We learned a lot and would do it again in a heartbeat. Additionally, we still love each other even though writing this blog post was like herding cats. 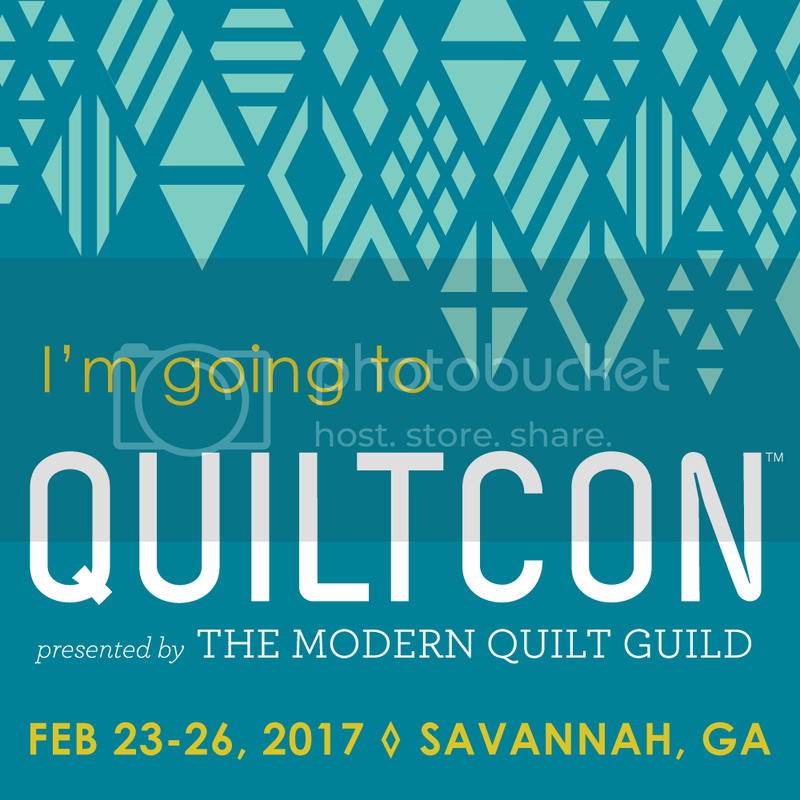 We are so excited that we will be in Savannah to see all of the challenge quilts and the other group’s interpretations of the challenge. by Jessica Schunke, Secretary Overarching is our guild’s take on the most iconic symbol of the city of St. Louis, the Gateway Arch. A group of members took on the task of designing the quilt; when we sat down to discuss the theme of Playing with Scale, the Arch came to mind for many of us. One member presented a photo by Windy Sawczyn (used with permission of the artist with much gratitude) that showed just a portion of the giant structure shining and sparkling in the dusk light, and we knew it would be just right. Not only did the image encompass the grand scale of the Arch itself, but we then deconstructed the image into small improv units, so that the final whole is composed of hundreds of tiny pieces. The pieces do not translate exactly (nor did we plan for them to), but when put together, they recreate the essence of the original image — small scale writ large. To begin the work of actually constructing the quilt, we decided to break the picture down into smaller units (99 to be exact), which would each be translated into a block. Fabrics, both solids and tone-on-tone prints, were mostly curated by one member of the committee and supplemented by donations from other guild members. The small picture units were divided into sets of three and paired with fabrics that matched the colors in those sections of the image; these sets were then distributed to members to create the blocks using improv piecing. Most of the sets were distributed at our annual guild retreat, and it was such a pleasure to see so many members come together to add their part to the quilt. Through the course of making the quilt, many members tried improv piecing for the first time, and the idea of breaking down an image as inspiration took many outside of their usual routine. Members used a variety of techniques, fabrics, and sizes of cuts to assemble their blocks in the way they thought best conveyed their portion of the image. Additional members stepped forward to piece the final quilt top and backing and then to quilt and bind it. The finished quilt was truly a group effort. Brought together, the final composition pays homage to the Arch with a modern twist and the “signature” of the many quilters who played a role in its creation. We wanted to have a quilt that everyone felt that they could contribute. We decided on the dark blue color as the background and let the members make any size or color #. Some of us call these pound signs. Of piecing, applique, and improv, improv as the most commonly used method. At the last meeting, we determined that everyone in the guild has helped pound out the hash tag quilt.